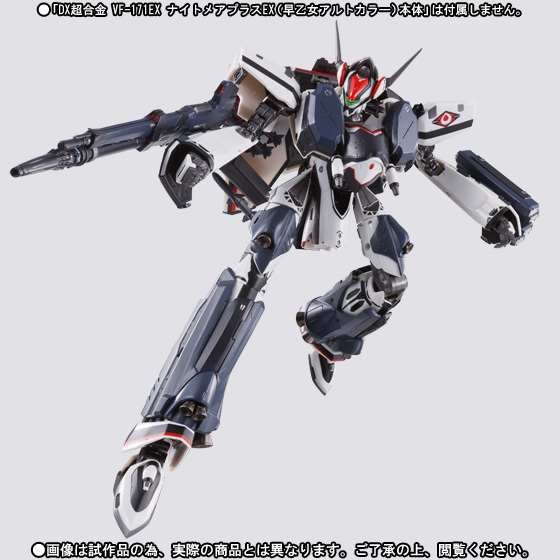 Tamashii has released official images of their TamashiiWeb shop exclusive DX VF171EX Nightmare Plus Armor Parts. 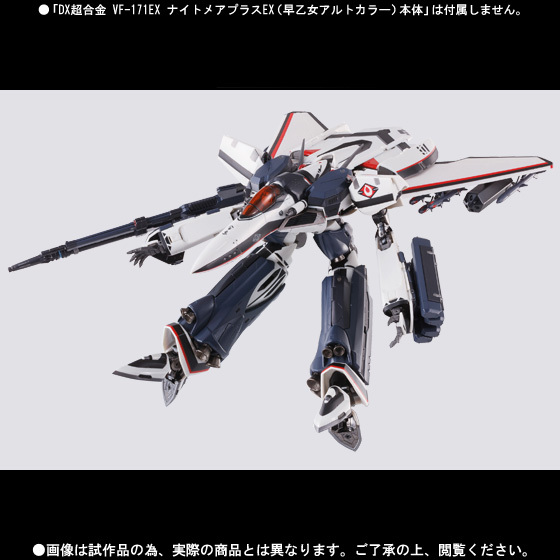 Though Alto’s Armored Nightmare Plus was only shown briefly in the Macross F TV series, the DX VF-171 toy has proven to be quite a challenge to obtain. 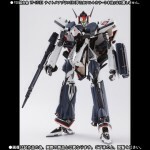 This set of armor retails for ¥5,040 and is scheduled for release in December. The addition of armor and extra weaponry changes the look dramatically. 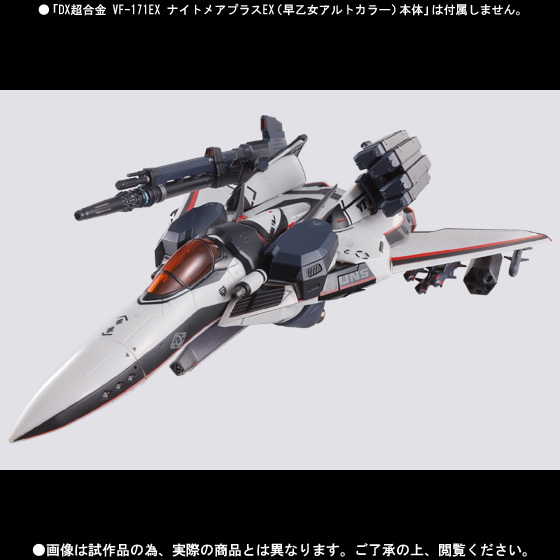 The wings have to be swapped out for wings with hardpoints for missles molded on. Check out the new images after the jump! You can't get them in one package. At least not yet. Armour pack is released in December. The valkyrie is already out. This is so frustrating for me who was late for the pre order. I am hoping they will re issue more. Does anyone think that will happen? 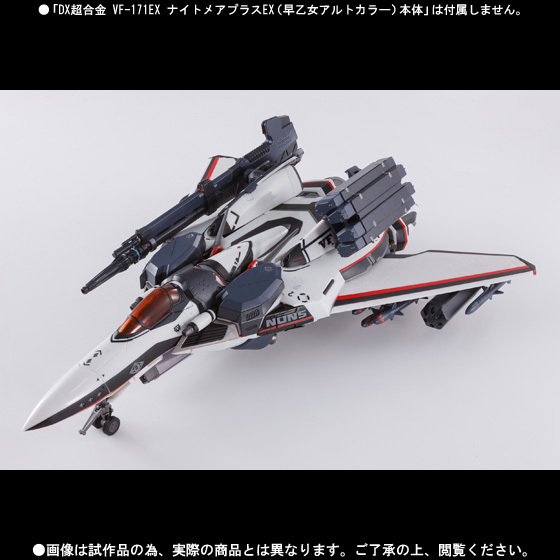 Eventually but even then the 2nd runs sell out quick, like the YF-29. 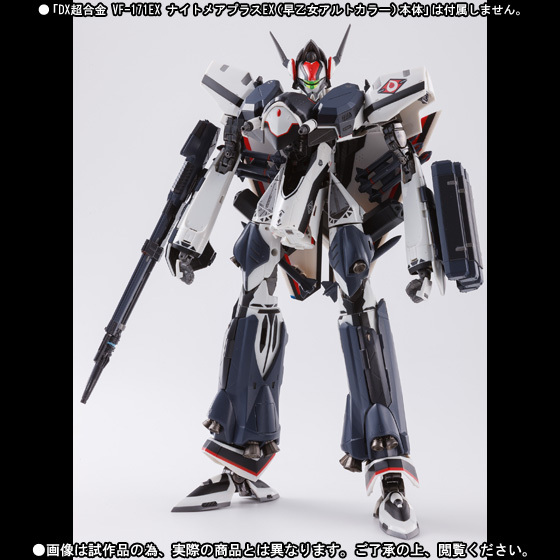 If you want one, Nippon-Yasan has the VF-171 available for about $205 USD. 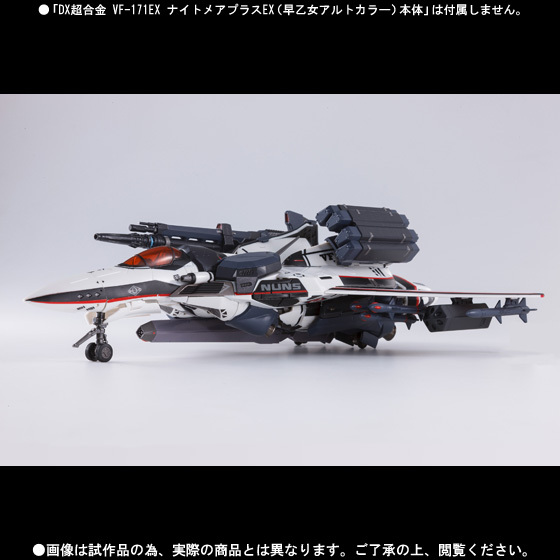 That's the best price I've seen that wasn't a preorder, and it looks like they're starting to ship them out, so you could pick up the valk there. I don't know when a reissue will be happening, but it might be a while. 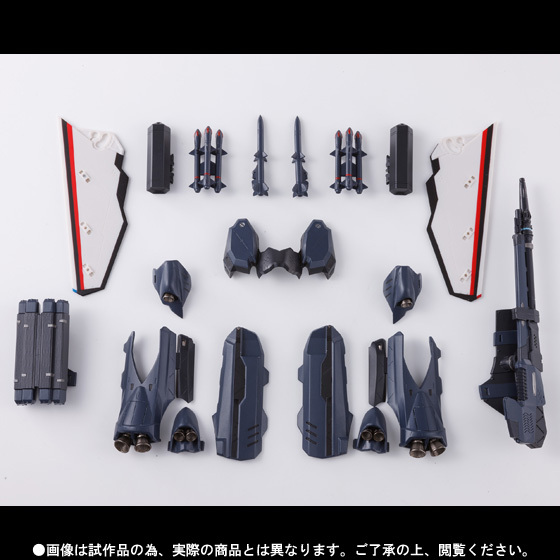 You can also order the armour parts too. If you don't want to pay up front for the armour parts, chose the pay later options.